Dr. Genia G. Beasley, OD, FAAO, FCOVD, is the owner, president and clinical director at All Ages Vision Care in Charlotte, NC. 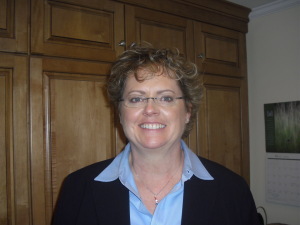 Dr. Beasley is Board Certified in Vision Therapy and Vision Rehabilitation. In addition, she has earned the distinction of Diplomate from the American Board of Optometry. She is not only a well-known, respected, and trusted vision expert, but she is a bit of a celebrity to her patients and fans! In 2012, Beasley was inducted into the inaugural class of the NC State Athletic Hall of Fame along with fellow NC State greats Everett Case, Jim Valvano, Kay Yow, Julie Shea, David Thompson, Ted Brown, Jim Ritcher, Roman Gabriel and Tab Ramos. Genia Beasley never intended to be a standard-bearer. She never contemplated being a legend. But both were bestowed upon her when she finished her basketball career at NC State in 1980. Beasley, a 6-2 forward/center from Benson established standards and records by which Wolfpack Women will be measured for many, many years to come. Dr. Genia Beasley scored a total of 2,367 points while playing at NC State an was the first of NC State’s women players to score more than 2,000 points. Twenty-seven years have passed and Beasley’s name is still at the top of points scored and rebounds grabbed in the NC State record book. 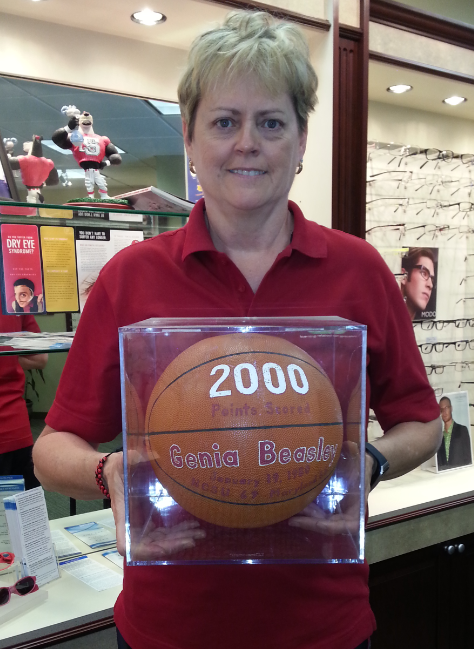 Beasley was the first NC State women’s basketball player to score 2,000 or more points, finishing with 2,367. Only one other player in Wolfpack history has scored more points — Rodney Monroe with 2,551. She produced career averages of 18.5 points and 9.7 rebounds in 128 games. Her jersey No. 50 hangs retired in the rafters of Reynolds Coliseum. Beasley was Coach Kay Yow’s first prime-time recruiting catch from the state of North Carolina. The NC State program was just beginning its third year of existence when Beasley arrived. During Beasley’s record-setting career (1977-80), the Wolfpack women went 105-23 overall, 59-0 against in-state competition, and 46-4 in Reynolds Coliseum. NC State won the first-ever ACC Regular Season championship in 1978 and captured the school’s first-ever ACC Tournament title in 1980. During the Beasley era, State finished 10th, 3rd, 11th, and 10th, respectively in the season-ending Associated Press polls. Her awards are too many to list here. She was a Kodak All-American in 1978 and was a North Carolina AIAW honoree as well as a NC-AIAW all-Tournament selection four straight years. 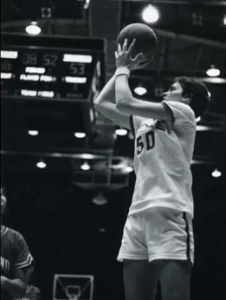 Beasley earned all-ACC Tournament accolades in her three tourneys and was MVP of the 1980 event. Beasley was twice a Region II Kodak All-American, and in 1978 she was selected the North Carolina AAU Female Amateur Athlete of the Year. 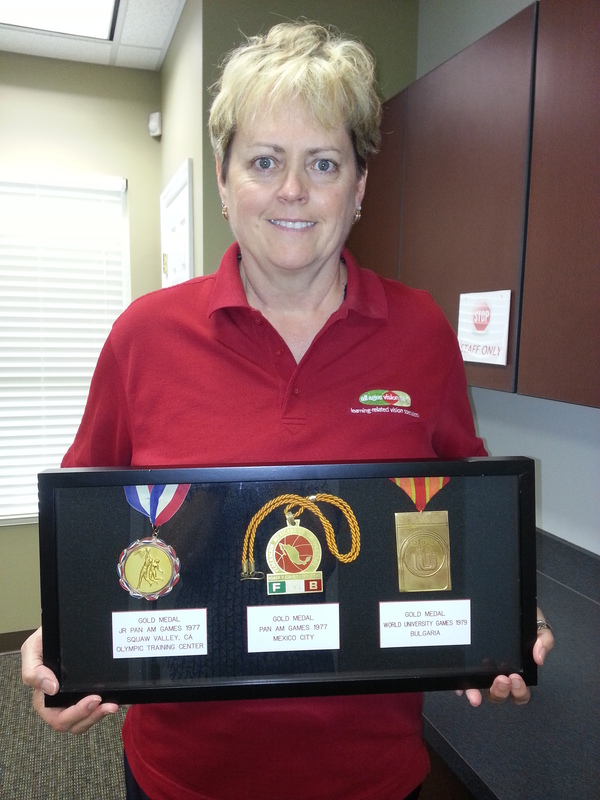 Dr. Beasley proudly displays her gold medals at All Ages Vision Care as an inspiration to patients. Not only did Beasley distinguish herself at NC State, she was also a force on United States international teams. In 1979, she was a member of the U.S. National Team that captured the gold medal at the World University Games in Mexico City. Beasley secured a BS degree in zoology from NCSU in December of 1981. In the months preceding, she won a World League Championship, playing with the Nebraska Wranglers of the Women’s Pro Basketball League (WBL), the first pro women’s basketball league. Coaching was Beasley’s next step, serving as an assistant at Tennessee-Martin (1982-83), and five years at the University of South Florida. In 1988, Beasley’s pursuits went a totally new direction. From ‘88 through 1994, she went back to school, earning her doctorate from Nova Southeastern’s College of Optometry in Ft. Lauderdale. On January 1, 1999, Beasley came back home to North Carolina, accepting a job in pediatric vision at a Charlotte eye clinic. And in 2000, she started her practice at All Ages Vision Care. Genia Beasley, Inaugural class of the NC State Athletic Hall of Fame 2012.